TORONTO, Ont. 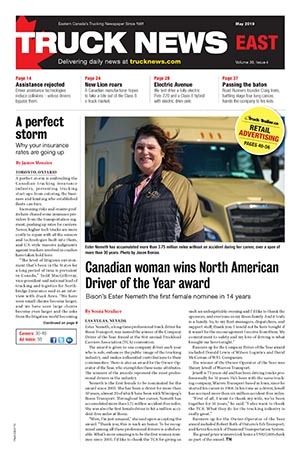 — Canadian spot market freight volumes were relatively unchanged in October, but up 21% year-over-year, according to the latest data from TransCore. 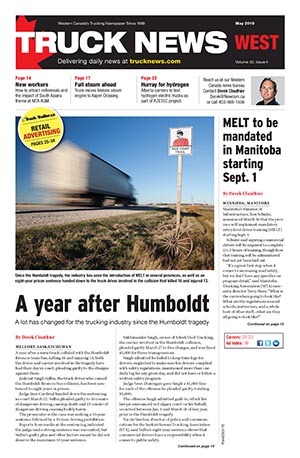 Cross-border load volumes accounted for 69% of loads, while southbound loads were up 70% year-over-year. 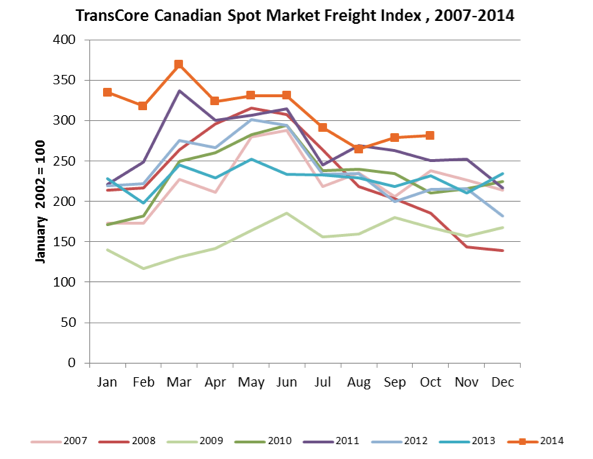 Loads into Canada were also up 14% year-over-year, TransCore reported. Equipment postings increased 7% for the month of October, but were down 6% year-over-year. The equipment to load ratio was 2.03 in October, up from 1.92 in September, TransCore reports. This marks the first time in 10 months that the equipment to load ratio exceeded two trucks for every available load in the system. TransCore’s Canadian Freight Index is derived from its Loadlink load board.